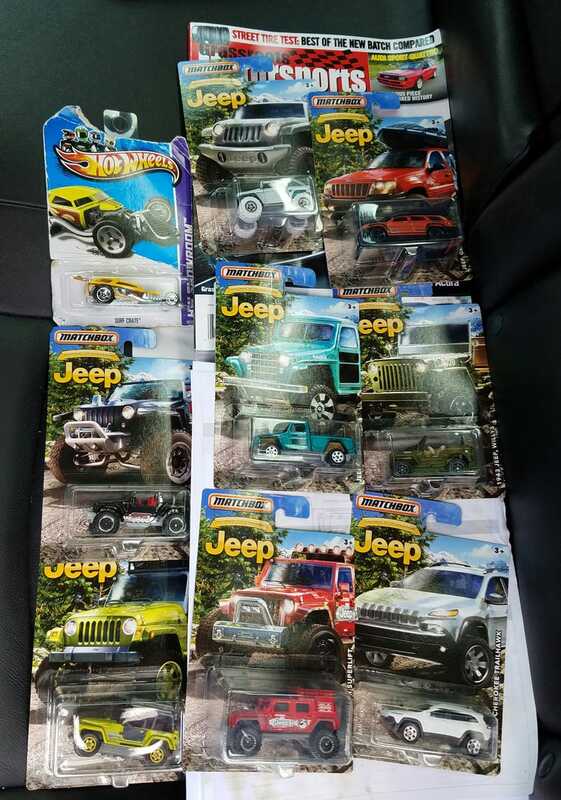 Went to Walmart on my lunch break and found the entirety of the new Matcbox Jeep series. I didn’t pick up any from the first series because, let’s be honest, they weren’t that great. These however are all excellent. I also got a Surf Crate with the woody-style tampos from 2014. Lord knows where they found the poor thing. The card is all beNY and battered. The Surf Crate is one of the fantasy casts that I really like, so I had to save this one, lol.